BRUSSELS (Sputnik) – Information on the case emerged in April when media reports said that 3 Flemish companies (AAE Chemie, ANEX and Danmar Logistics) were summoned by an Antwerp court for having exported 96 tonnes of isopropanol to Syria in violation of EU sanctions introduced in 2013. The Antwerp court has obliged the companies to obtain special export licenses for this certain substance to allow deliveries to the Middle Eastern country. The three companies have said they had been exporting the product to Syria for over 10 years, noting that the customs office, which controlled exports to Syria, had never told them anything was wrong with their shipments. The Belgian Finance Ministry, which oversees the customs, subsequently offered a financial settlement to the companies. However, they refused to accept it. The 7sur7 news outlet reported Thursday that prosecutors had asked the court to fine the companies 750,000 euros ($854,000) and to sentence heads of two companies to 18 months in prison. The defendants' lawyers said their clients had not been aware of the restrictions on chemicals deliveries to Syria, asking for them to be acquitted. The lawyers also claimed that the customs had failed to manage effectively the firms’ export operations. The customs, in turn, defended itself by saying that the export document had not been filled in correctly by the companies, and launched a criminal investigation into the controversial shipments. The verdict in the case is expected to be made in late January. 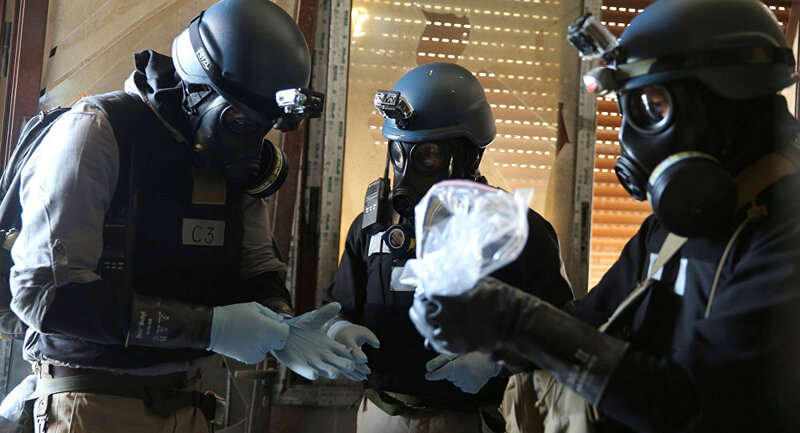 Isopropanol, commonly known as rubbing alcohol, might be reportedly used for the chemical weapons production.